A garage storage system can transform your garage from a cluttered mess to a calm, functional space. Before you purchase a garage storage system, however, it is important to consider your options carefully so that you can get the job done correctly on the first try. In order to ensure that you choose the storage system that is best for your garage, follow these simple steps. 1. Determine which items you will organize and estimate space requirements. Consider all of the items you wish to store in your garage. Ask yourself how you would like to organize them and estimate how much space you will need to accomplish your goals. Measure the available space in your garage so that you can be sure to buy custom garage cabinets in the right size. Remember to measure both width and depth for best results. 2. Decide what type of storage you will use. Consider the types of items you will store. 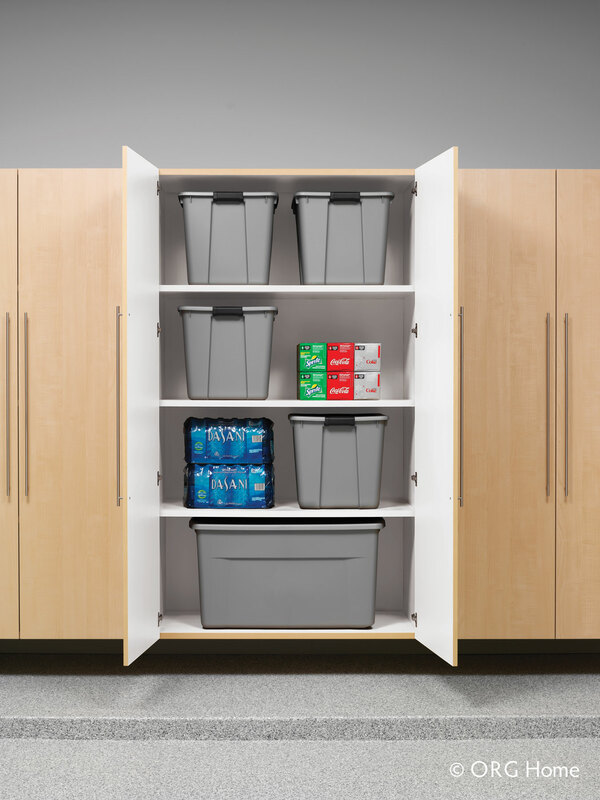 Choose cabinets that will hold these items easily and make organization simple. For example, if you will be storing primarily smaller items, you will need cabinets with drawers, shelves and plenty of ways to separate small objects. If you are storing bulky equipment, on the other hand, you will need storage units with more open space on the interior. Likewise, if you will be storing a combination of items, you will need an appropriate combination of storage options. Garage storage systems vary in cost considerably based on the type of system you choose, the size and other factors. Before you begin shopping, set a clear budget for your purchase. Keep in mind that labor and installation will increase the cost of your project. Inquire about these costs before you make a purchase. Once you know what you will store, how big it needs to be and how much you can afford to spend, it is time to start shopping. Because there are so many options available, this part of the process can be confusing and overwhelming. Consulting an experienced professional will help to simplify the process. The design consultants at Boston Garage are experts in garage storage and organization. They have access to an expansive variety of products in every style, size and color. With their help, you can find the perfect custom cabinet configuration to suit your storage needs, budget and personal style. Please contact Boston Garage today to get started!